What’s your favorite Kentucky Derby horse name? By now you’ve heard that the winner of the 2018 Kentucky Derby was Justify. But did you catch the names of the other competitors? What were the odds for Audible? Vino Rosso? Free Drop Billy? This fun article at The Week offers Kentucky Derby odds, determined solely based on the quality of each horse’s name. You’ll find out where each name came from as well as the great names of the horses’ sires and dams. Analysis: If Justify is to win the Kentucky Derby, he will have to overcome Apollo’s Curse, although bookies obviously believe that won’t be a problem. 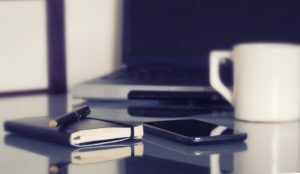 For our purposes — which involve completely disregarding any real world facts or supernatural destinies — Justify would finish just out of the money thanks to his name, which is a little more Microsoft Word than it is chivalrous and knightly. WinStar Farm president Elliott Walden told the Louisville Courier Journal: “We think [the name’s] important. We look at it like, ‘If this horse wins the Kentucky Derby, would this be a cool name? I don’t want ‘Jim Bob’s Corvette. '” First of all, Jim Bob’s Corvette is a great name for a horse. Secondly, can we pause to appreciate the name of Justify’s damsire, Ghostzapper? Dr. Cleveland Evans writes about names for the Omaha World-Herald. In his May 8th column, he looks at the history of the names Shania – and Twain. Shania Twain has had an amazing rags-to-riches life. Born in Canada in 1965 as Eilleen Regina Edwards, her divorced mother, Sharon, took her three daughters to Timmins, Ontario, in 1968. There Sharon married Jerry Twain, an Ojibwe Native American who adopted her girls. At age 8 Eilleen began singing in bars to support her impoverished family. Twain’s budding career was delayed when her parents died in a car wreck in 1987 and she had to raise her siblings. When her career resumed around 1993, she adopted “Shania” as her stage name, saying it meant “on my way” in Ojibwe. Recently she’s said she got it from a woman at Ontario’s Deerhurst Resort. American girls were named Shania before Twain. Like Shanice and Shaniqua, it was created as an African-American name blending fashionable sounds in the 1970s, usually pronounced “Sha-NEE-uh.” However, there were never more than 86 born in one year, and it never made the top thousand names. Want to know more? Read on to find out more about Shanias in history! The American Dialect Society is currently inviting abstract proposals for its upcoming annual meeting that is scheduled to take place from the 3rd to the 6th of January 2019 in New York, NY. The deadline for abstract submission is the 13th of August 2018. 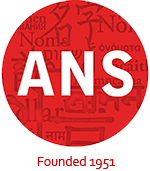 The official call for papers can be found at the ANS website. 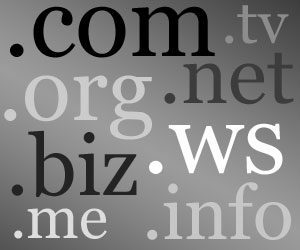 To find out more, click through to this article at Domain Name Wire. Interested in reading about the meanings of some of today’s popular names for baby boys and baby girls? The writers at CheekyTummy have put together a listing of 100 popular personal names and some of their meanings. In this article at the Chronicle of Higher Education, linguist Geoffrey Pullum looks at how the names of political scandals are constructed. 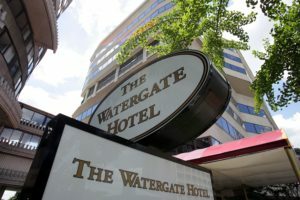 Some, like Watergate (the scandal arising out of a Nixon-era break-in at the Watergate hotel), are tied to the scene of the crime, with the name now broadened to include “an array of clandestine and often illegal activities undertaken by members of the Nixon administration,” some having little to do with the break-in. But what about Weinergate, and Windrush? Read on to find out more! 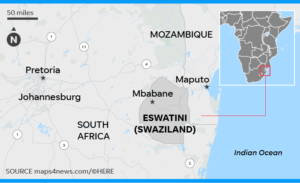 eSwatini – the new name for Swaziland? Last month, King Mswati III of Swaziland, one of the world’s few remaining absolute monarchs, announced the news: The country will henceforth be known as eSwatini, the kingdom’s name in the local language. (It means “land of the Swazis” in the Swazi — or siSwati — tongue.) Many African countries upon independence “reverted to their ancient, native names,” The Associated Press quoted the king as saying. “We no longer shall be called Swaziland from today forward.” According to Reuters, Mswati argued that the kingdom’s name had long caused confusion. “Whenever we go abroad, people refer to us as Switzerland,” the king said, according to Reuters. Whether the name change will stick is another question. In 2016, Czech officials put forward Czechia as the preferred short version of the name of their country. The United Nations, the United States government and — crucially, in the digital age — Google Maps and Apple have complied, but the name Czech Republic remains in widespread use in English. To find out more, click through to this article at the New York Times. Skopje is the capital of…? Here is a quiz for you. What is the name of the country with these four official languages (no, it’s not Switzerland…): Albanian, Turkish, Romani, and Serbian? Its capital city is called Skopje. It achieved independence from the Socialist Federal Republic of Yugoslavia in September of 1991. Its international calling code number is “389” and it is located in the Balkan peninsula of southeastern Europe. If you guessed Macedonia, you could be right. But then again, maybe not. Confused? Irritated? Asking yourself what is going on? So are the inhabitants of the country who call themselves Macedonians. 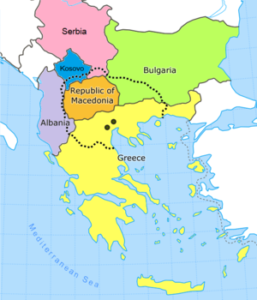 That is, the Macedonians who live in Macedonia and not in Greece – and that is precisely the point of contention. Read more about this complex political situation at Foreign Policy.